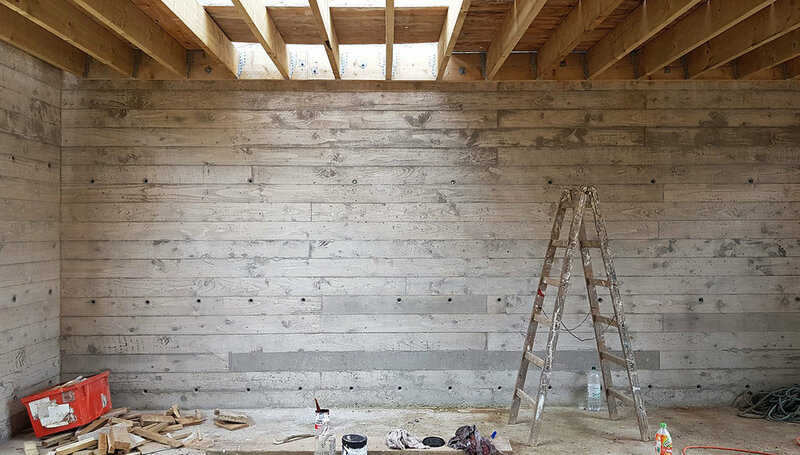 New concrete walls are being cast inside the existing steel frame in this conversion of a Dutch barn in Somerset. 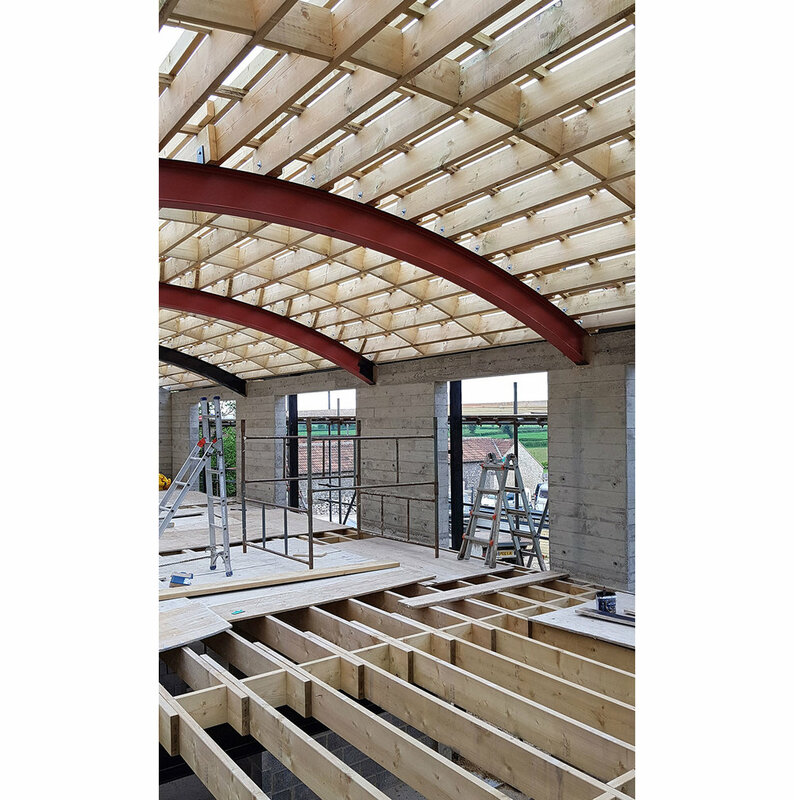 Triple-glazed Internorm windows will be installed in the openings and the whole structure made air-tight. The windows will have external steel plate linings fixed to the existing steel structure. Insulation will then be spray-applied to the outside of the concrete to ensure there are no gaps, using the steel window linings as formwork. The 4 bedroom family house is being certified to Passivhaus standard by CoCreate Consulting.